A new festival that hopes to be the annual highpoint in the citya��s rock calendar, Slam Fest launches this Saturday at CounterCulture. Seasoned performers including Clown with a Frown, Lagori, 30Ton Capacity and Solder will be joined by newer acts One Girl Shy, Whata��s in a Name and Da��s Kitchen. Behind the sound waves and stage antics, the event aims to raise money for national charity Make a Difference which works to empower underprivileged children. Zoning in on Bangalore as a�?the music huba�� of India, event coordinator Kruthika Swaminathan sees the festival as a chance for rock fans to come together and watch some of their favourite bands perform live, while also discovering new talent. a�?Young bands will share the stage with older ones, which is an opportunity for them to grow,a�? she says. The format works equally well for the established bands, who rate the crowd potential and chance to hear new music. a�?At festivals like this, the audience is always immense, and we get to know the new acts,a�? says lead vocalist of Solder, Siddarth Abraham. Guitarist of headliners Lagori, Geeth Vaz, agrees. a�?Wea��ve played with Solder before, but wea��re all psyched to hear the newer bands live for the first time,a�? he shares. Lagoria��s set will largely focus on their debut album, with the promise of a few crowd-pleasing covers, reworked with the banda��s signature high-energy sound, while Solder will stick to their upbeat, peppy originals. The sheer diversity of the bands and their different approaches to the rock genre promises to be one of the festivala��s highlights. While Lagori peppers their rock and roll sound with classic Indian melodies and Kannada vocals, Solder draws from soul and funk, and Clown with a Frown reworks sounds from the disco era, with influences as diverse as Kool and the Gang and Jamiroquai. Newcomers One Girl Shy grew out of acoustic roots, and have completely moved away from the classic a�?guitar, bass, druma�� rock combo, instead incorporating a classically trained violinist and vocalists with both R&B and classical backgrounds. a�?Almost everyone in the group is a seasoned artiste, and together our aim is just to keep it as fresh as possible,a�? says lead vocalist Akhilesh Kumar. Watch out for their fun new single Hopscotch Man, as well as previews from their forthcoming album. With over 1,000 rock enthusiasts expected to turn out, Swaminathan is confident that the festival will be a success. 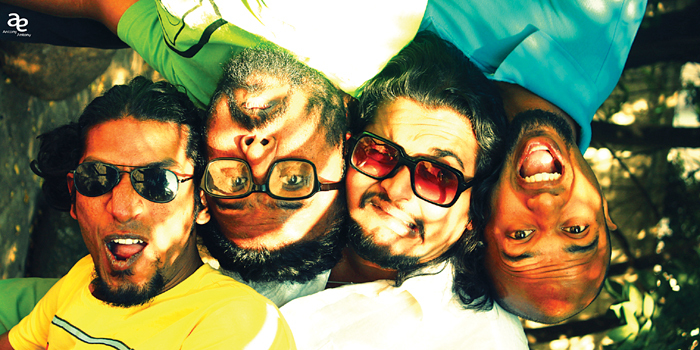 a�?We have seven of Bangalorea��s finest bands playing for seven hours at an amazing venue. Wea��ll give our guests a brilliant experience and memories to cherish,a�? she promises.